We are here to tell you your opinion. 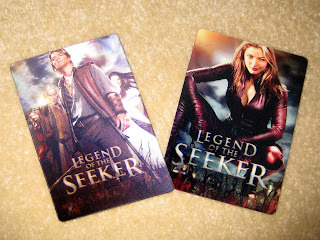 : Check out what we got in the mail from ABC/LEGEND OF THE SEEKER tonight! Check out what we got in the mail from ABC/LEGEND OF THE SEEKER tonight! It's really hard to photograph 3D hologram cards. I'm not gonna lie, I jumpy-clapped when I saw them. They must have had a sixth sense about Kyle, because they sent him the Cara card. Something tells me the Kahlan card was the first to run out. Thank you for being a dedicated viewer of our show. 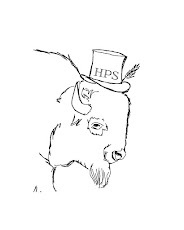 We appreciate your letter and are pleased to know that you greatly enjoy the show. We are proud of our entire cast and production crew. They've done an incredible job of bringing Terry Goodkind's novels to television. We share your hope that Legend of the Seeker's audience will continue to grow and more seasons will come. To that end, we invite you to share your enthusiasm for Legend of the Seeker with all of your friends and family. Please accept our token of appreciation for your loyalty. This specialty 3D card was part of a first-of-its-kind unique promotion and has become a collector's item. You're welcome, ABC. Thanks for the show. Oh God! I hope that means we're getting that season 3! I know it!!! Kyle and I can barely take a 2-week hiatus, let alone the end of the series! Can I have the address to send a letter from Spain?